France is planning a €37-billion revamp of its nuclear arsenal over the next seven years, part of a sharp increase in defence spending aimed at allowing France to “hold its own” as a key power in Europe, the country’s defence chief said yesterday (8 February). The upgrades to France’s land- and sea-based nuclear deterrent will be part of the nearly €300 billion to be spent by 2025. That would take the defence budget to the NATO target of 2% of GDP, compared with about 1.8%. 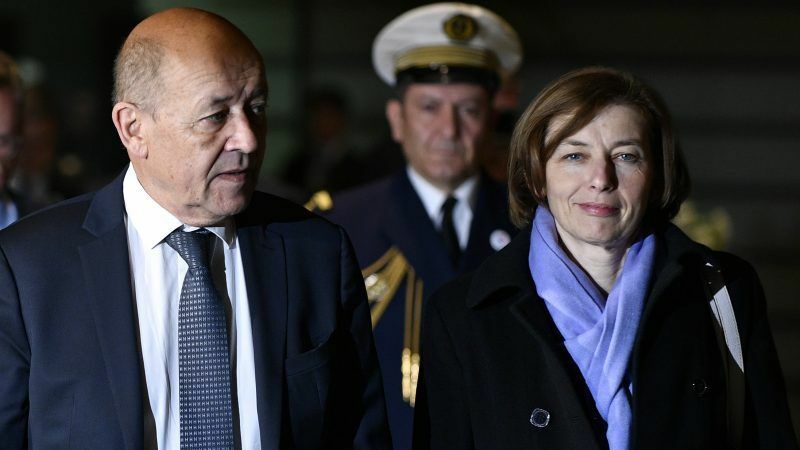 “We are going to make up for past shortfalls and build a modern, sustainable, protective army” that would allow France to hold its own, defence minister Florence Parly said Thursday. The spending hike under President Emmanuel Macron marks a reversal of years of belt-tightening in defence, which caused tension in the ranks while drawing criticism from the United States that France and other NATO members were not pulling their weight. Nuclear-armed France and Britain are the biggest military powers in the European Union. With the departure of the UK France will remain the sole country from the bloc with a nuclear arsenal. The defence ministry plans to raise overall spending by €1.7 billion a year from 2019 to 2022, increasing to €3 billion a year between 2023 and 2025. “The government’s goal is twofold: reach the target of spending 2% of GDP on defence by 2025, while also ensuring we manage our public finances,” Parly said. French forces and equipment have been strained by operations against jihadists in West Africa as well as the country’s participation in the US-led coalition fighting the Islamic State group in Iraq and Syria. Thousands of soldiers have also been deployed across France as part of the anti-terror patrols implemented after a string of attacks claimed or inspired by IS. France will also begin studying a replacement for its sole aircraft carrier, the Charles de Gaulle, which is slated for retirement around 2040, while financing research into next-generation combat jets and tanks. Drones, satellites and surveillance craft will also be developed in order to increase strategic autonomy for both France and Europe, according to the defence proposals released Wednesday.